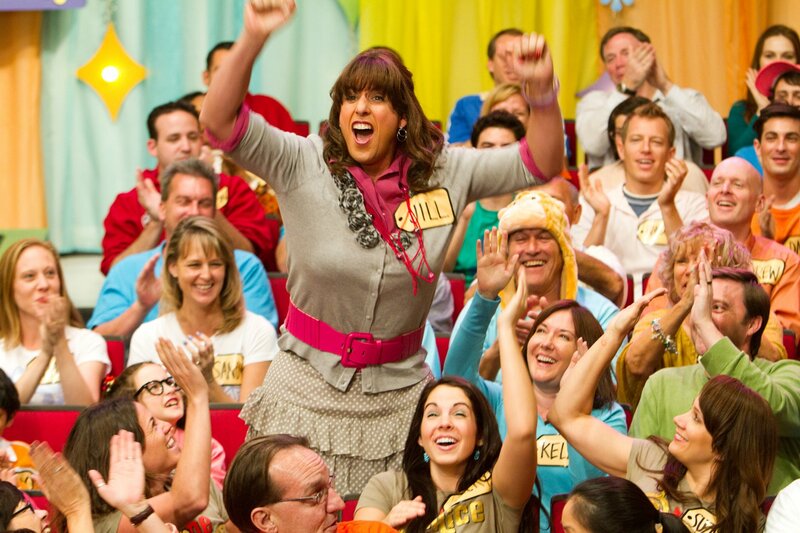 Jack and Jill went up the hill, and, certainly from a box office point of view, made a fair of money along the way. Taking into account its international takings, it more than made its money back. Then Adam Sandler came in more than once and everything tumbled down very, very quickly. Such simplicity does not an untruth maketh when it comes to describing ‘Jack and Jill’. Jack Sadelstein (Adam Sandler) is a successful advertising executive in Los Angeles. That is, until he comes up a cropper in securing Al Pacino’s (err…Al Pacino) services for an advertising campaign for a doughnut company. This was not easy given Al’s unwillingness to play ball, though he’s willing to play ball with his other later on. No, I’m not talking about Jack’s wife, Erin (the pretty Katie Holmes almost brought me back to her ‘Dawson’s Creek’ days), who is indeed lovely. 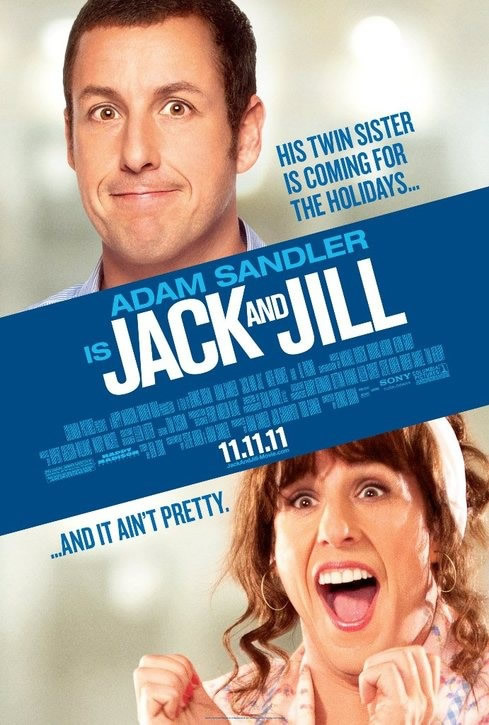 No, it’s the ‘star’ of the show, the second half of the eponymous title, Jill Sadelstein (Adam Sandler). Oprah's car giveaway continued beyond her show's end. There’s only one problem, though: Jack can’t stand her. Erin, however, is more understanding, and following their mother’s death, Jack grudgingly agreed to having her over for Thanksgiving. Of course, Jill is almost the complete opposite of the orderly Jack, which makes things more than just a little difficult for him. That also makes things more difficult when it is her favour he has to curry in order to get Al Pacino to agree to the advertising campaign. We stay with Al for a bit, because in this film, I believe that the film’s title should have been changed to ‘Al’. He is the real star of the show, and only he could have made it work the way it did. Remember the title of this review? A part of the reason why I said that was because I couldn’t believe the level to which Al Pacino was willing to go in debasing his legacy. OK, so that may be overstating things (upon further reflection, I remembered Robert De Niro doing the same thing for the ‘Meet The Parents’ films, so it’s not that unique), but ‘debasing’ (profitably and undamagingly in a comedic way, I must add) is the word that came to mind. "OK, I may look it, but I'm not THAT old." On that level at least, this film relies on you having enough cultural capital to understand and get the kind of comedy on display. If you don’t, you might be struggling more than just a little, because as a film itself, it doesn’t feel as strong or as powerful his previous films. I wouldn’t mind admitting that the likes of ‘Mr Deeds’ have a strong ideal delivered in a strong package that, even though it is formulaic, does the business on the emotional side. Hell, I even cried at ‘Click’. Now that’s a cathartic comedy with a capital ‘C’ or two. There is no try, only do or doughnut. Ho hum. Here, however, the moment of catharsis did not do it for me. It has a great build up, in fact, for you do identify with Jack more often than not, but the obligatory sudden change in character in these films is not as powerful as it could have been. It may have something to do with the dialogue or the script, it may even be something that got lost within the infatuation with star power in this film (you’ll recognise more than just a few of the cameos in this film). Unfortunately, I need more than just star power to get me interested. 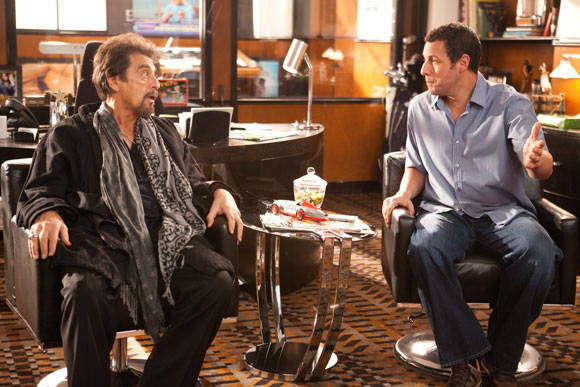 I realise that what I like about Adam Sandler’s is their riff on culture without spoofing it. That may seem like the fine line is non-existent, but it existed in all his previous films. Yes, they had their share of cameos too (what would John McEnroe be doing otherwise?). Yes, in theory, if you like Adam Sandler, then having two of him in a single film should make this an experience to remember. Yes, some of the moments of humour are genuinely funny. However, it is not the kind of humour that stays in your mind, the kind that very few manage to do successfully: strong, cathartic comedy. And yet this film still made money. A fair chunk of it, too. Star power. Hmm. God help us. Fikri can’t remember who paid for this one. Maybe it’s his girlfriend again. Hmm.